Our Delta research team is preparing for ASLO 2019 in Puerto Rico at the end of the month. We will be presenting on (1) lateral carbon losses from drained peatlands and (2) methods for tracking wastewater in aquatic systems using a novel array of stable isotope tracers! Undergraduate researchers, Kaylee Glenney and Carolyn Brady, who have worked alongside me for the past 1+ years on our Delta and SLR projects, joined me at the 2018 Bay-Delta Conference in Sacramento, CA. We all presented posters and walked away with one best poster award! Shout out to UCSC and the Future Leaders of Coastal Science Award for making our trip possible! Check out the latest print of the International Association of Geochemistry's newsletter to see my mini-feature! GSA continues to fund our work on the San Lorenzo River in Santa Cruz, CA! We will be characterizing N sources during streamflow recession. Our research team was awarded the Future Leaders in Coastal Science Award! 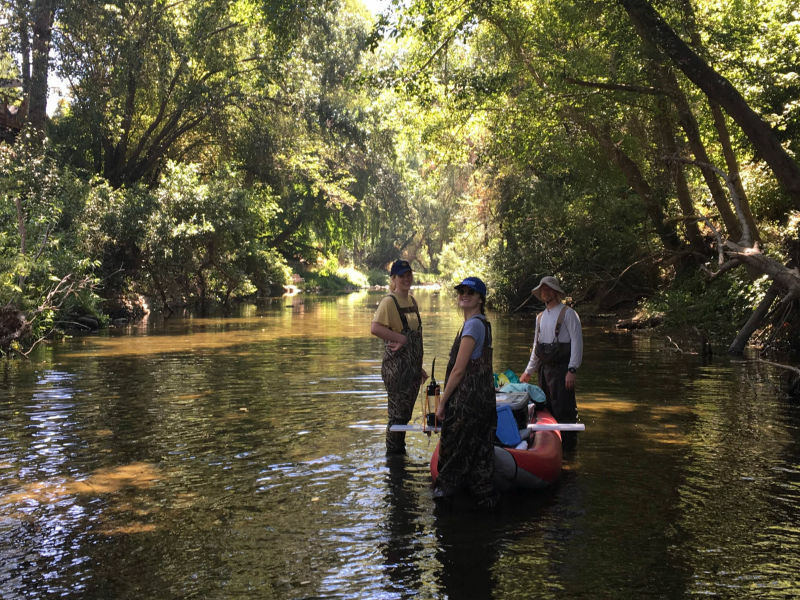 This work jointly funds our ongoing work in the Delta and provides assistance for our awesome undergraduates - Kaylee Glenney and Carolyn Brady!